Seating Capacity: 100. Seats available on the first-come-first-served basis. “In a society organized round objective psychological measurement, the power to listen is a potentially iconoclastic one,” writes William Davies in The Happiness Industry. “There is something radical about privileging the sensory power of the ear in a political system designed around that of the eye.” Listening to others, to the world, is a start but how to organise, be active, collaborate, from the point of listening? Is listening necessarily an act of hearing audio information or is it more productive to think of it as receptivity, attention, a channel through which to break down the rigid authoritarian formats through which events are structured? Sound is a strange and difficult medium. Is it a material or an event? How does it work within physical space? Does it even exist or is hearing all in the mind? Silence inflates to contain even the smallest gesture; the supposedly passive and fixed ear moves outward, a gathering in; the projectile of sound is reversed, becoming receptive. All of these reversals are exercises in how to move across boundaries of practice, how to collaborate, to improvise, to perform without performing, to listen as a ritual without sound. 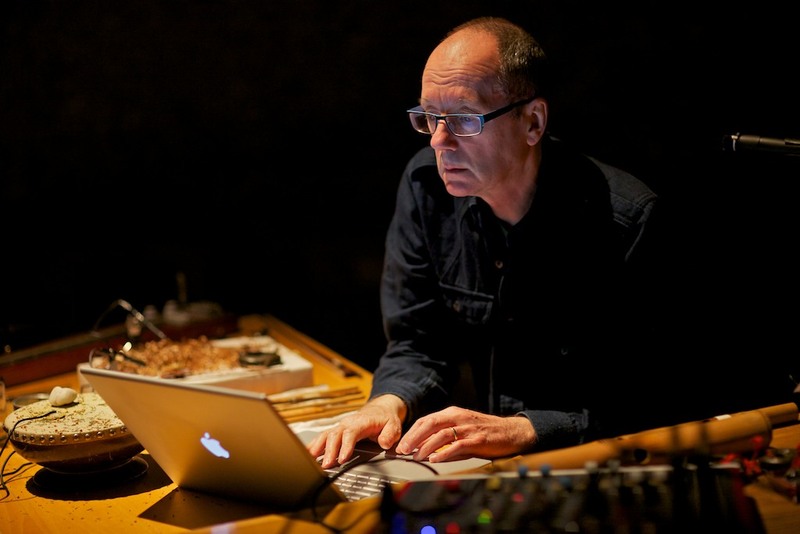 David Toop will be thinking about strange questions related to sound and listening in his own practice as a musician, writer, curator and theorist: does sound sit on chairs? Do instruments have bodies? Can we hear without hearing? and many collaborations with improvisers and artists including Alterations (Peter Cusack, Steve Beresford and Terry Day), Thurston Moore, Tania Chen and Ken Ikeda. Exhibitions he has curated include Sonic Boom at the Hayward Gallery, Playing John Cage at Arnolfini, Bristol, and Blow Up at Flat-Time House. His opera – Star-shaped Biscuit – was performed as an Aldeburgh Faster Than Sound project in 2012 and his collaborative work – Who will go mad with me – was performed with Alasdair Roberts, Sylvia Hallett and Luke Fowler at Huddersfield Contemporary Music Festival in 2013. Professor of Audio Culture and Improvisation at London College of Communication, he is also the co-creator of Sculpture events with artist Rie Nakajima. His next book, an autobiography entitled Flutter Echo, will be published in Japan in 2017. Renowned musician and singer Haruomi Hosono was born in Tokyo in 1947. Debuting as a member of Apryl Fool in 1969 he formed HAPPY END in 1970 and launched his solo career in 1973. In 1978 he joined Tin Pan Alley, forming that same year the hugely influential Yellow Magic Orchestra (YMO) with Yukihiro Takahashi and Ryuichi Sakamoto. He has also worked as producer and director of his own record label. 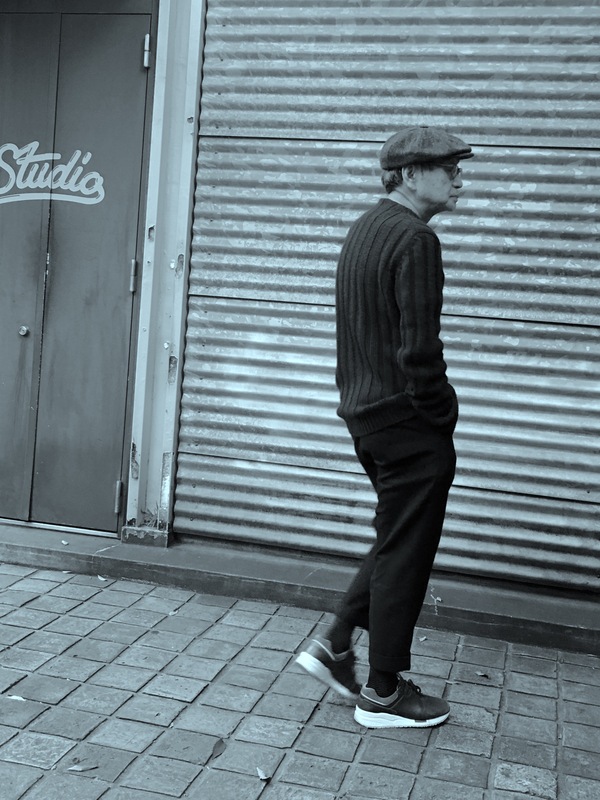 Since the breakup of YMO, he has explored world and ambient music and as a composer and has worked in a variety of fields including that of as a producer. Part-time Lecturer, Graduate School of Film and New Media, Tokyo University of the Arts. His current research interests include sound technology, sound art, and aurality. He is one of the Japanese translators of The Audible Past: Cultural Origins of Sound Reproduction, by Jonathan Sterne (Inscript, 2016). Rahel Kraft is an artist, working mainly with sound and performance, born and raised in Switzerland, near the lake of Constance. Her focus lies at the intersection of modern composition, improvisation, performance and installation, often including the site, listening practices and collective processes. She obtained her master’s degree on Sound Arts at the University of the Arts London. Tomoko Hojo works with sound art and experimental music. Her recent works are focused on personal memories evoked by specific places and the instability of those memories. Hojo is a director of “Ensemble for Experimental Music and Theater” which is a group featuring experimental music in post John Cage era. She completed her master’s studies on Division of Musicology and Music Studies at the Tokyo University of the Arts and on Sound Arts at the University of the Arts London. Professor in Sociology and Cultural Studies. BA in Economics, Kyoto University, MA in Media and Communications and Ph.D. in Sociology, Goldsmiths College, London. His research interests are postmodern culture, media, art, the city and transnationalism. His publications include: Street no Shiso (The Philosophy in the Streets) NHK Publications, 2009 (available in Japanese and in Korean) and “Culture=Politics: The Emergence of New Cultural Forms of Protest in the age of Freeter” in Inter-Asia Cultural Studies 6/1, 2005; “The Pitfall Facing the Cool Japan Project: The Transnational Development of the Anime Industry Under the Condition of Post-Fordism” in International Journal of Japanese Sociology, The Japan Sociological Society, Wiley-Blackwel 2011, No 20; “J-Pop Goes the World: A New Global Fandom in the Age of Digital Media” in Made in Japan: Studies in Popular Music, T. Mitsui (Ed), Routledge, 2014; “New Collectivism, Participation and Politics after the East Japan Great Earthquake”, World Art, Routledge/Taylor & Francis, 5/2, 2015 (all in English). The sound art exhibition by Tomoko Hojo [JP] and Rahel Kraft [CH] which focuses on home-sounds in one’s memories.